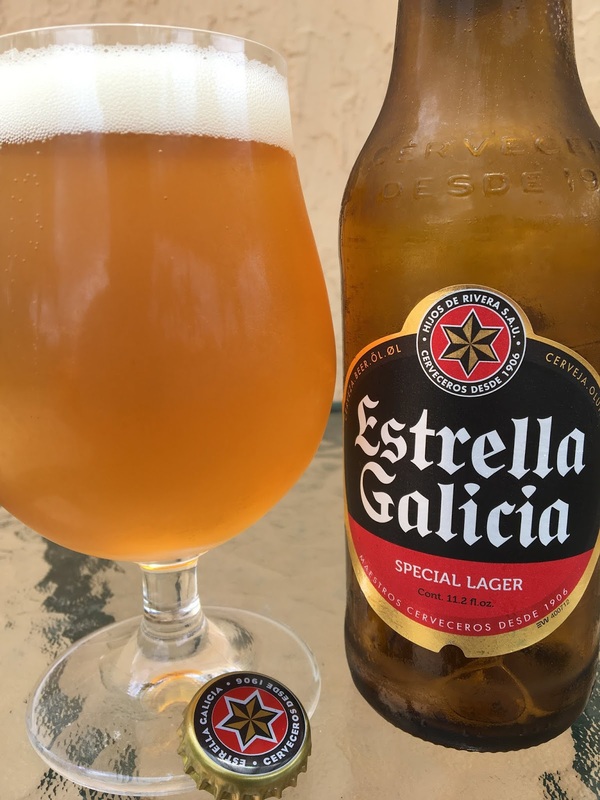 A few weeks ago, I got a chance to try Spain's Estrella Galicia Special Lager at an event in Miami. This is not related to other "Estrella" beers. On the way out, I bribed the brewery rep and took home a bottle for review here. 11.2 ounce bottles, 5.5% alcohol. Lightly sweet aroma, some grain and honey. Very nice flavors, again starting with grain and honey. But some lemony and floral components add balance. Light apple. Sweet to start but enough bitter balance along the way. Crisp and clean. Nice beer.